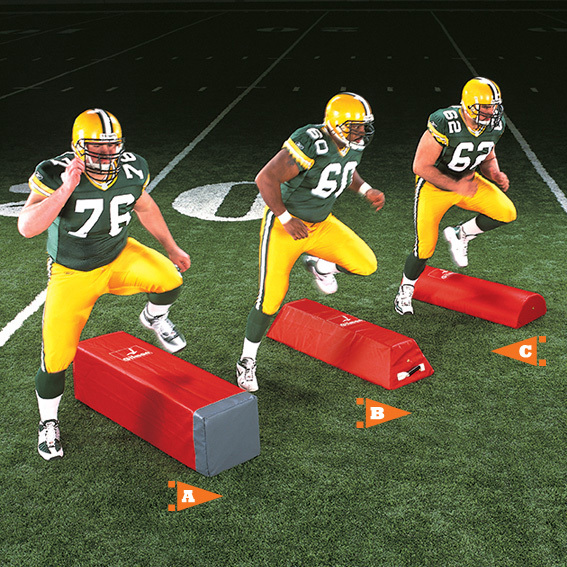 The "I" BACK stepover dummy is a trapezoid-shaped step-over dummy. Slanted sides reduce risk of tripping. Sized between the square and half-round. Stays in place. Won't spin out if nudged by incidental foot contact. Eliminates the hassle of halting a drill to reposition the bags. Measures 9-1/2" thick by 16" wide by 49" long. One handle.